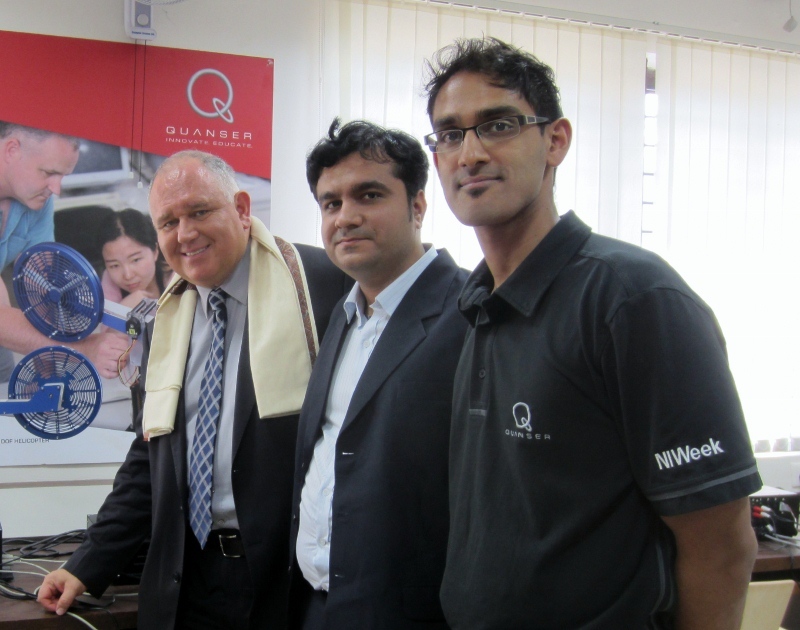 Quanser is pleased to announce the appointment of Sunny Ray as Quanser’s first Channel Manager for South Asia. This appointment not only reflects the growth and vitality of engineering education in the region, but demonstrates Quanser’s commitment to supplying full service and support to the Indian and South Asian academic engineering community. Sunny Ray (far right), Quanser's new and very first Channel Manager for South Asia, with visitors to the Quanser Center of Excellence at the College of Engineering, Pune, India. Sunny holds a BSc. in Electrical Engineering. His previous roles at Quanser have included Inside Sales Manager, North America Academic Solutions Advisor and Latin America Channel Manager. Consequently, he possesses a strong technical understanding of Quanser solutions. In his previous roles within Quanser Sunny assisted top universities around the globe and enabled engineering educators and researchers to tackle grand challenges in the field of controls, robotics and mechatronics. Both Quanser and Sunny look forward to working closely with leading edge educators to attract, retain and graduate a new generation of engineering students in your country.